Get free Guitar Picks from Marlboro. Register or log in and check your offers. The first 25,000 to comment in the post will get a guitar pick. thank u very much! my brother plays guitar and is always looking for pics! I would love a free guitar pick, thanks. I would like one please, thanks. 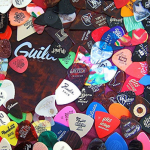 Id love to get a free pick i play constantly and use alot of picks. i would love to get one since i play guitar and the one i had my little brother broke it. I would love to receive free stuff, you don’t get free stuff these days. Every now and then don’t we all deserve a little something free,just to say ahhhh….. we all can still feel the love!!! !